Grading teams on their draft class is a natural thing to do for the experts, but it means nothing. 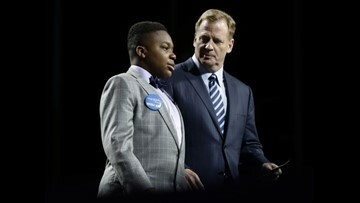 No one has any idea how these rookies are going to perform in the NFL. The Seattle Seahawks had an eventful weekend, making nine selections in this year's NFL Draft. While it's been less than 24 hours since the final pick, the experts are already coming out with their grades.ESPN's Mel Kiper gives the Seahawks draft class a C+. 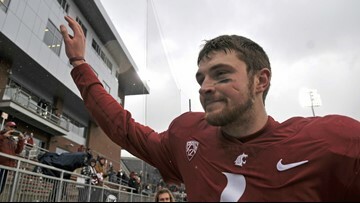 Luke Falk is off to Nashville. The Tennessee Titans draft the most decorated quarterback in Washington State and PAC-12 history in the sixth round and No. 199 overall. 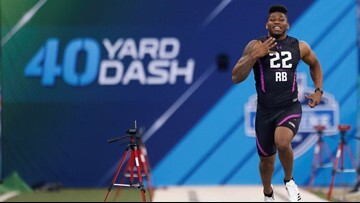 Here are four takeaways from GM and coach press conferences at the 2018 NFL Scouting Combine. Edge rushers, interior linemen and linebackers are on the field at the 2018 NFL Scouting Combine at Lucas Oil Stadium in Indianapolis. Seattle Seahawks coach Pete Carroll is comfortable with quarterback Russell Wilson playing baseball during the offseason. Southern California quarterback Sam Darnold will skip his final two seasons of eligibility to enter the NFL draft. Darnold made the expected announcement in an Instagram video Wednesday. About 25 minutes earlier, UCLA quarterback Josh Rosen announced he will enter the draft. Both local products are expected to be high first-round selections in April. 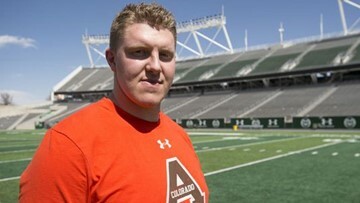 The Seahawks addressed the offensive line with their second 2nd-round pick of the NFL Draft. Seattle selected LSU center Ethan Pocic. The Philadelphia Eagles have selected Washington cornerback Sidney Jones in the second round of the NFL draft, a month after he ruptured his left Achilles tendon at his pro day. 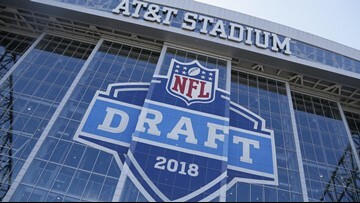 The Green Bay Packers opened the second round of the NFL draft by selecting Washington cornerback Kevin King. 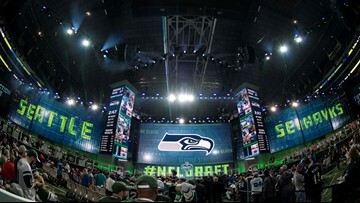 The Seattle Seahawks did not make a pick in the first-round of the NFL draft, making a pair of trades to pick up selections later in the draft. 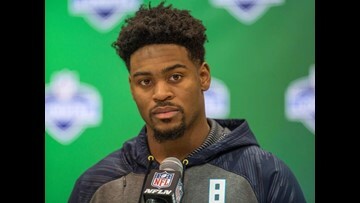 Ohio State cornerback Gareon Conley was drafted by the Oakland Raiders with the No. 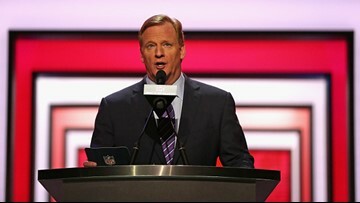 24 overall pick in the first round of Thursday's NFL draft amid an unresolved sexual assault accusation. WKYC's Jim Donovan says the Cleveland Browns will select former Texas A&M defensive lineman Myles Garrett with the No. 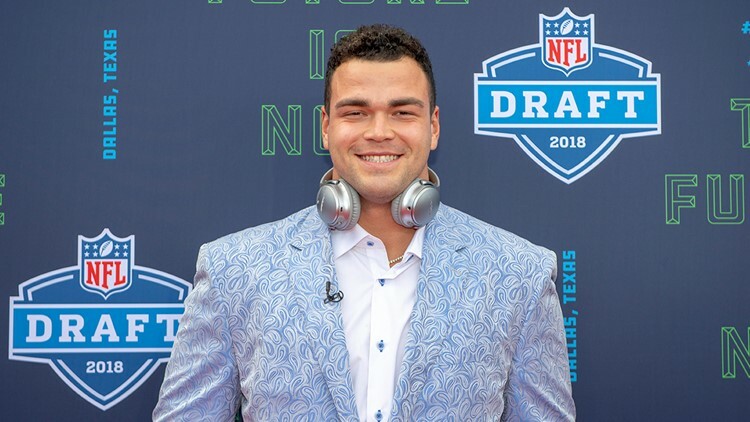 1 overall pick in the 2017 NFL Draft. The Bengals made an unexpected move with the ninth pick in the NFL draft, taking speedy John Ross from Washington to try to improve a passing game that struggled last season. The Houston Texans made their long-awaited move at quarterback. Cam Newton has a new weapon.